Take the dread and frustration out of homework! For many students, homework is the dreaded "H" word—yet many teachers view homework as an opportunity for students to continue learning after the bell rings. How can teachers change the way students view homework while ensuring that they still benefit from the additional learning it provides? 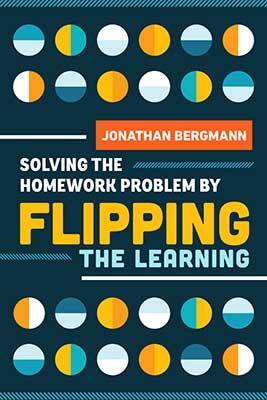 Join Jonathan Bergmann, author of Solving the Homework Problem by Flipping the Learning for this engaging webinar to learn how to flip the learning in your classroom, and watch students get excited about homework! See first-hand how flipped learning—completing the harder or more analytical aspects of learning in class as opposed to having students do it on their own—improves student learning.